TANGO built by Liberty Homes. 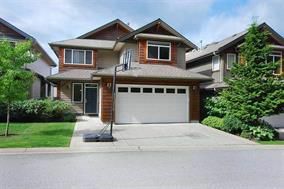 This detached home offers an open & very functional floor plan in a peaceful mountain setting & walking distance to forest trails & golf courses. The main floor features beautiful hardwood floors & 9 ft. ceilings with an open concept kitchen adjacent to the family room S/S appliances, lots of cabinets and New quartz counter top on the island (2015), On upper level you will find a large master bedroom with walk-in closet as well as 3 generously sized bedrooms. A bright walk-out basement, fully finished w/ access to the fenced backyard. New Hot water tank, New clothes/ washer/ dryer (2014).